Linux is being adopted by an increasing number of embedded systems developers, who have been won over by its sophisticated scheduling and networking, its cost-free license, its open development model, and the support offered by rich and powerful programming tools. While there is a great deal of hype surrounding the use of Linux in embedded systems, there is not a lot of practical information. 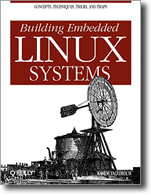 Building Embedded Linux Systems is the first in-depth, hard-core guide to putting together an embedded system based on the Linux kernel. Details are provided for various target architectures and hardware configurations, including a thorough review of Linux’s support for embedded hardware. All explanations rely on the use of open source and free software packages. 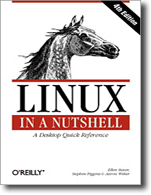 By presenting how to build the operating system components from pristine sources and how to find more documentation or help, this book greatly simplifies the task of keeping complete control over one’s embedded operating system, whether it be for technical or sound financial reasons. Author Karim Yaghmour, a well-known designer and speaker who is responsible for the Linux Trace Toolkit, starts by discussing the strengths and weaknesses of Linux as an embedded operating system. 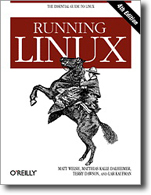 Licensing issues are included, followed by a discussion of the basics of building embedded Linux systems. The configuration, setup, and use of over forty different open source and free software packages commonly used in embedded Linux systems are also covered. uClibc, BusyBox, U-Boot, OpenSSH, thttpd, tftp, strace, and gdb are among the packages discussed.